Finished Feb 2019. Final score: 3 / 5. I got this book for free. No answer went beyond a quick web search. How does one go to the loo in space? Is space scary? How do you eat in space? How does one become an astronaut? Can you drink a cup of tea in space? What surprised you the most? What is the best part? What is the worst part? 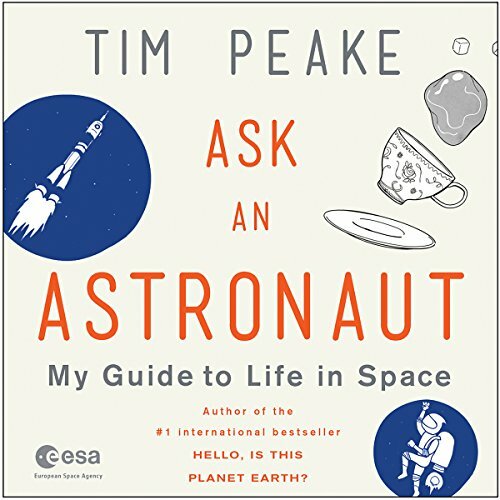 Those questions and more are answered at a 5th-grade level in Tim Peake's "Ask an Astronaut". This book may have been useful 10 years ago when endless space knowledge was not at my fingertips. Basically, Tim took a FAQ and turned it in to a short book written for middle schoolers fascinated by space (and who wasn't excited at that age?). Probably, the real value in this book is Tim organizing the list for me. Sometimes, one does not know what question to ask. A particular gem that I did not think about is, "Does space smell?" According to Tim, it actually does have a smell. He went through a list of comparisons. Afterwards, I visualized the odor burnt gadgets give off. Details about re-entry was interesting. I did not know about the 3-piece approach and the shuttle is actually quite accurate in finding its landing place. Also, the shuttle is built to take a rough collision to land. I also did not realize just how important Russia is to space these days. Discuss Ask an Astronaut in the forums.